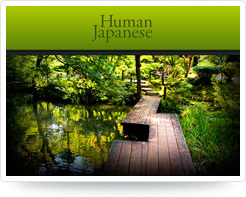 Convinced that the Human Japanese approach is right for you? Great! For most platforms, simply purchase the full edition from the appropriate app store. For the PC products, buy an activation code and unlock the full features from within the trial version you already have installed. Start by choosing the product you're interested in, and we'll get you sent to the right place to buy the full edition. Learn Japanese from square one. Take your Japanese to the next level. Windows Windows 8.1 or higher. Available in the Windows Store. Mac Mac OSX 10.6.8 or higher. Available on Mac App Store. iPhone iOS 3.1.3 or higher. Available on iOS App Store. iPad iOS 5.1 or higher. Android Android 2.2 or higher. iPhone iOS 5.1 or higher. Android Android 4.0 or higher. If you're brand new to Japanese or need a refresher, Human Japanese Intro is the place to start. If you already understand the basics and want to go deeper, Human Japanese Intermediate is right for you. Need more details? Peruse the chapter lists to get a feel for the scope of content in each. Our small team of actual human beings is ready to help. 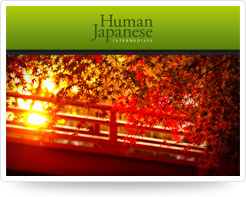 Email us at support@humanjapanese.com for speedy assistance.